Keeping your office and commercial premises clean is not merely a bonus – it is a requirement for any serious business owner. If you employ staff or have customers, visiting your premises, you need to ensure that you communicate the right message about your business at all times. A clean and well-presented office plays an invaluable role in achieving this. Create a good impression from the get-go with the help of our professional commercial cleaning in London service. Our company specialises in all kinds of domestic and commercial cleaning in London, for UK residents and businesses alike. Our teams offer high-quality commercial cleaning in London at a very competitive price for the UK market. The First Choice Cleaning teams will keep your public access and employee areas tidy and spotless. As a part our service package for Commercial Cleaning in London, we offer sanitation of desktops, telephones, kitchens, toilets and office furniture. With us, your windows will be wiped, upholstery taken care of, floors vacuumed and mopped. Businesses, opting to benefit from our commercial cleaning in London can rest assured that their office space receives a comprehensive treatment. On top of this, we can assign a specialist whose job will be to steam clean your carpets and upholstery on a periodic basis, utilising our state-of-the-art equipment and highly efficient products. Hiring a local professional to handle your need for commercial cleaning in London ensures that your workspace looks as presentable as possible at all times. Our Commercial Cleaning in London team will manage any and all tasks, included in the agreement. Additional, on-site requests can also be taken, depending on the situation. Should you find yourself in need of a cleaning consultation, you can benefit from our expert customer support at any time – our team is always happy to help. We have been providing contract commercial cleaning in London for businesses of all sizes for many years. Our clientele induces some of the biggest companies in the UK. Our commercial cleaning in London package covers office space, business buildings and commercial properties such as restaurants, pubs, retail stores, hotels and schools. Cleaning public and private areas: First Choice Cleaning Company provides commercial cleaning in London for businesses and individuals alike. We will ensure that all public areas of your premises are presented professionally at all times. We can also keep public and staff washrooms clean and hygienic thanks to regular cleaning routines and inspections throughout the day, should you opt for that. Not only does your office need to look good for your customers it also provides a comfortable and creative atmosphere for your employees. And that is a proven way to keep everyone motivated. As a company, specialising in commercial cleaning in London, we understand that a clean and hygienic office can go a long way in inspiring your staff. With our help, you will reduce staff absenteeism, increasing productivity and ROI, simply by creating an uplifting working environment. Contact us today and benefit from professional commercial cleaning in London! Daily cleaning and more: UK clients, looking for commercial cleaning in London can opt for reception cleaning, office areas, stairwells, canteens, kitchens and washrooms. All of these are crucial when it comes to creating and maintaining a healthy and hygienic environment for your personnel. The members of our commercial cleaning in London team are checked and hand-picked for their know-how and expertise. You can rely on them to provide the daily cleaning, required to keep your office exactly in the state you want it to be. Should you wish to, you are given the option to plan cleaning activities targeting specific areas such as carpet and rug cleaning, periodic deep cleaning and so on. As a leading provider of professional commercial cleaning in London, we take great care with our choice of personnel. All of our staff is thoroughly vetted, professionally trained and fully insured. References are available upon requests, and CRB checks can be provided if necessary. Call us today for a complimentary consultation about our Commercial Cleaning in London services! To learn more ways in which you can benefit from our commercial cleaning in London package, businesses package, do not hesitate to contact us. You can benefit from a free quotation or a meeting with one of our representatives by getting in touch via e-mail or phone at. 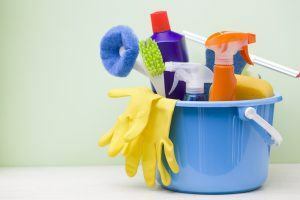 Go to Domestic Cleaning Services.